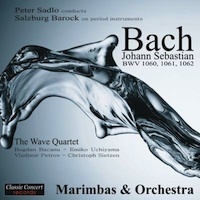 "Enjoy goose bumps and shivers going down your spine when the marimba players get a maximum of expressivity from the slow movements in those well-fitting transcriptions of Bach’s harpsichord concertos. 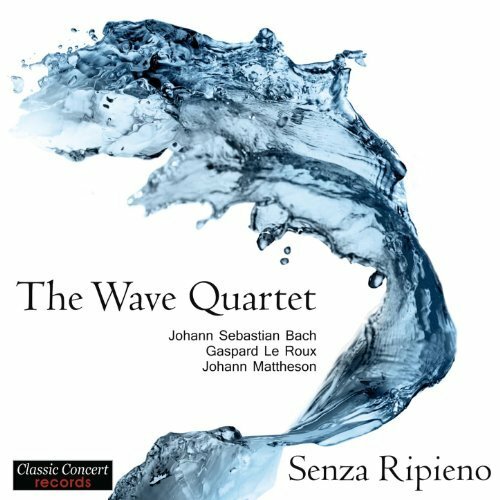 The dancing outer movements of the works are no less exiting due to the refinement of the Wave Quartet’s exquisite playing." "It is wonderful, the way the musicians including a Baroque orchestra play with each other, the voices are interweaved and maintain an elegant sound." 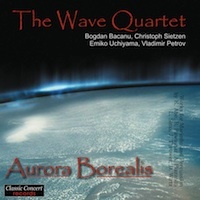 "Musically, this new recording has quite a few charms to offer: for example the mysterious atmosphere in the slow movements, which is enchantingly enthralling, meditative, time-lasting. 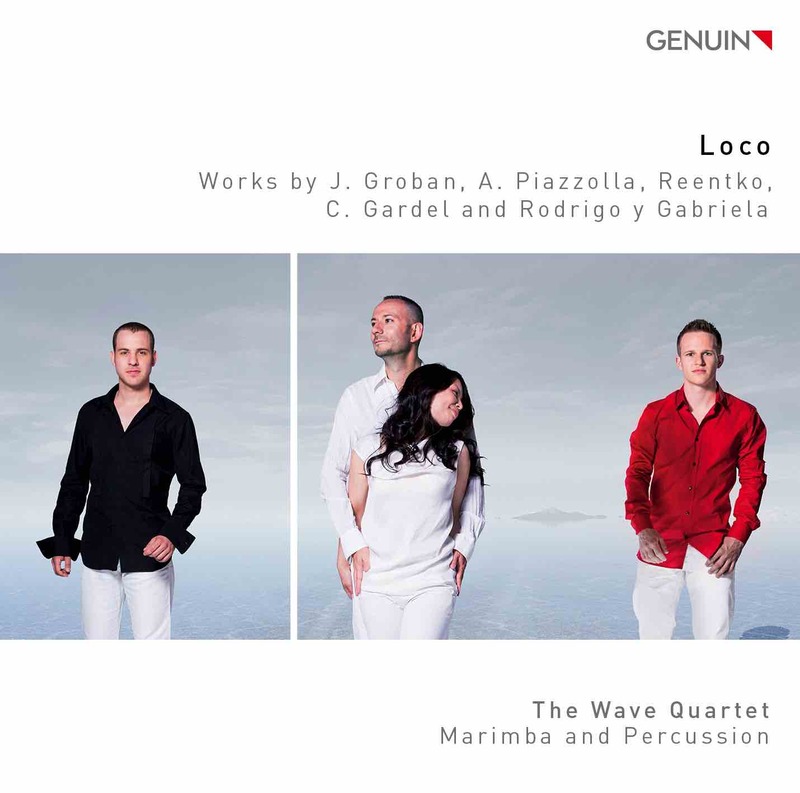 The conciseness with which the Wave Quartet plays is certainly one of the special qualities, especially in the exact coordination with Michi Gaigg's orchestra. Amazing is the clarity with which the Wave Quartet, reinforced by four other soloists, masters the final A minor concert. Precision specialists are needed here, who harmonize very well not only rhythmically but also in the dynamic progressions." "(...) The intimacy of the marimba sound opens up a very unique sound magic (...)"
"Unusual in the sound and yet somehow familiar, these arrangements of the Bach concerts have a special effect." "(...) From the first second of the Allegro from the D minor to the final Allegro of the A Minor Concerto, the percussionists from Austria, Luxembourg, Bulgaria (...) and Japan hold the musical threads firmly in their hands. In comparison to the harpsichord, the music sounds less ethereal, salon and chiselled, but more archaic and more dancing like. 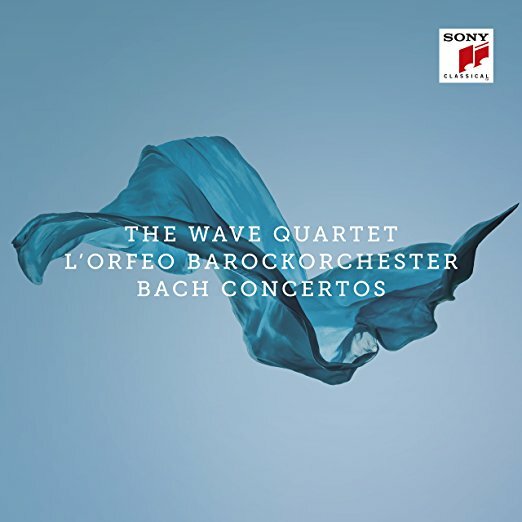 The expressive strings of the L'Orfeo baroque orchestra under the direction of Michi Gaigg also contribute unrestrictedly." "Inspiring. (...) An absolute must for every decent sound library!" The article by Norbert Trawöger is published here in german language. "Bach remains Bach (...) you not only hear opulent sounds, but you can also see impressive pictures." Hans Ackermann / More at: www.ohrenmensch.de (in german language). 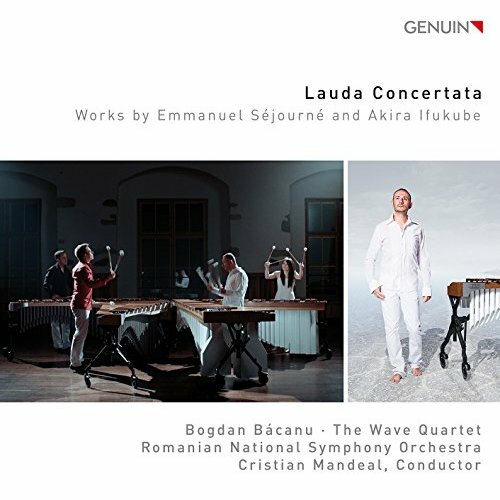 "(...) Admirably high performance art (...) The CD is a must for the audio library of every percussion enthusiast and a very enriching supplement for all classical listeners with a sense of something special."